Nisville 2018 ticket set – first 500 ticket sets at 12.5€! Nisville 2018 ticket set at the price of a one-day ticket – first 500 ticket sets at 12.5€! 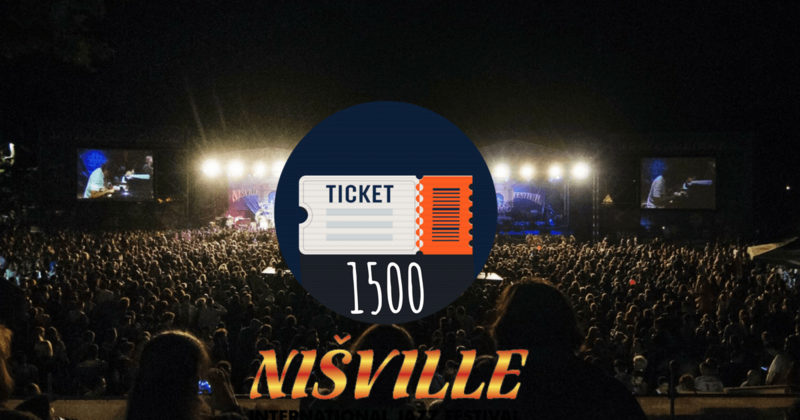 As of Tuesday, October 03, the ticket sets for Nišville 2018 will be on sale at the price of 12.5 euros each. This promo price is available for first 500 tickets only. The 35th international Nišville jazz festival 2018 (August 03 -12), held at the Fortress of Niš, Serbia, will include 250 performances of the total of 1000 musicians at 20 stages. The 60% discount for the ticket sets means that you pay less than 0.5 euros per performance at the main festival venues. The original price of a ticket set is 35€. Are tickets available in CS Eventim stores and online at http://www.eventim.rs/en/tickets/nisville-2018-is-niska-tvrdava-993862/performance.html? Look for CS Eventim stores at http://www.eventim.rs/en/outlets/? The ticket set is for one person only – during the festival, the visitors will get a special bracelet with which they will be able to enter the main festival area.